Turmeric is a plant native to the tropics of Southern Asia with yellow trumpet-shaped flowers. It is grown mostly in India, where it is used as a main ingredient in curry. The University of Maryland Medical Center reports that turmeric has been used for thousands of years for its medicinal properties. In Chinese and Ayurvedic medicine, turmeric is known for its anti-inflammatory properties, and it is used to treat skin conditions, liver disorders and wounds. Curcumin, an active ingredient contained in turmeric, has strong anti-oxidant properties. Turmeric paste can be used as a facial mask to help heal acne scars, notes the Organic Facts website. 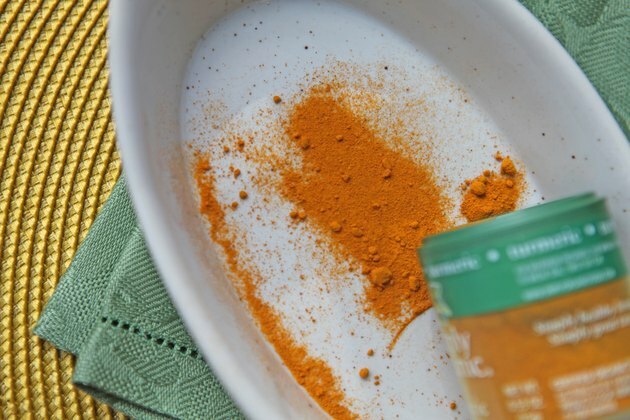 Shake a few tablespoons of turmeric into a small, nonporous bowl. Slowly pour a little bit of milk, stirring it in with your fingers, until you reach the consistency desired. 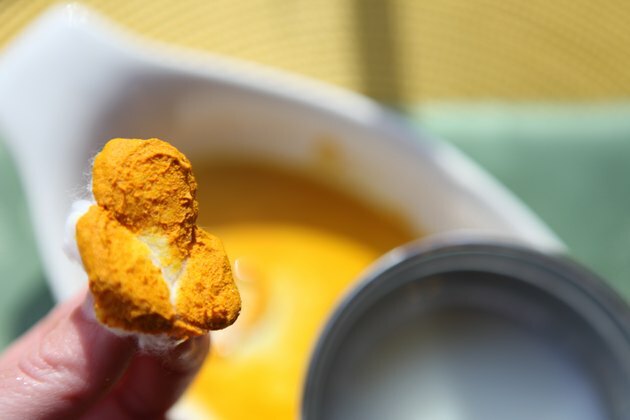 You do not want the turmeric paste to be too dry or drippy; it should stick to your fingers with a bit of moisture. Generously apply the turmeric blend onto your face, being careful to avoid the eye area. Let it dry on your face for 30 minutes. Wash off the paste carefully. 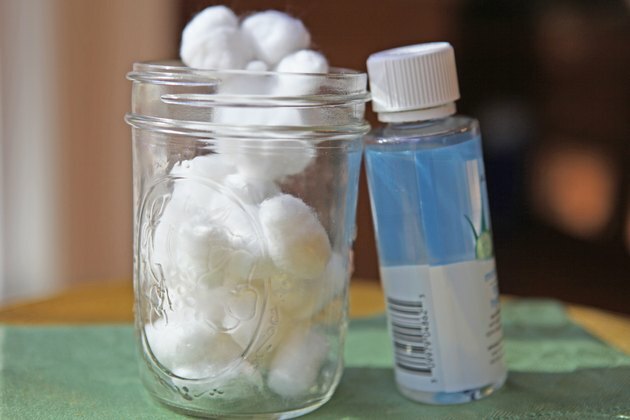 Use cotton balls and liquid toner to remove any discoloration left. Do not use a towel as turmeric will leave an orange stain. Moisturize your skin when you have removed all the turmeric. Repeat the mask treatment if desired. The mask is gentle enough to repeat two or three times a day for several days, notes "The Chopra Center Herbal Handbook: Natural Prescriptions for Perfect Health" by Deepak Chopra and David Simon. It is recommended for mild acne along with acne scars. 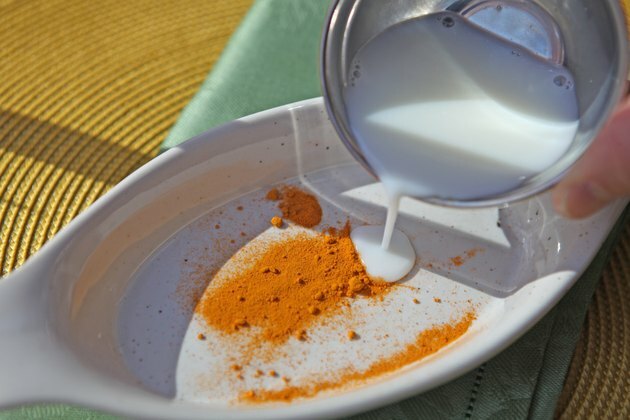 You can also benefit from the detoxifying qualities of turmeric by adding a pinch to 1 tsp. of low-fat milk daily. It can also be taken in capsule or a liquid tincture form, which can benefit skin from the inside out. To prevent allergic reactions, test smaller areas on your skin before applying the whole mask. 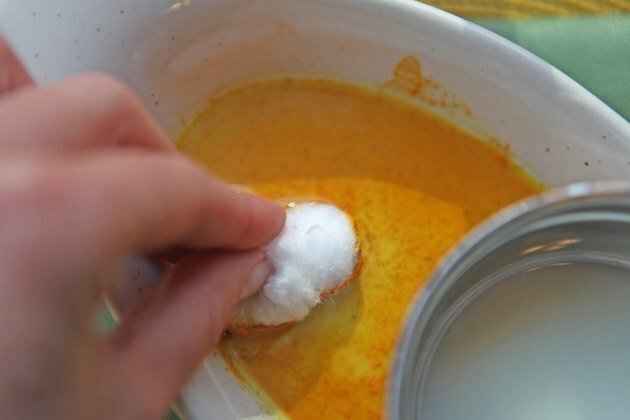 Turmeric bleeds a strong orange hue when wet, so be mindful when mixing the paste.